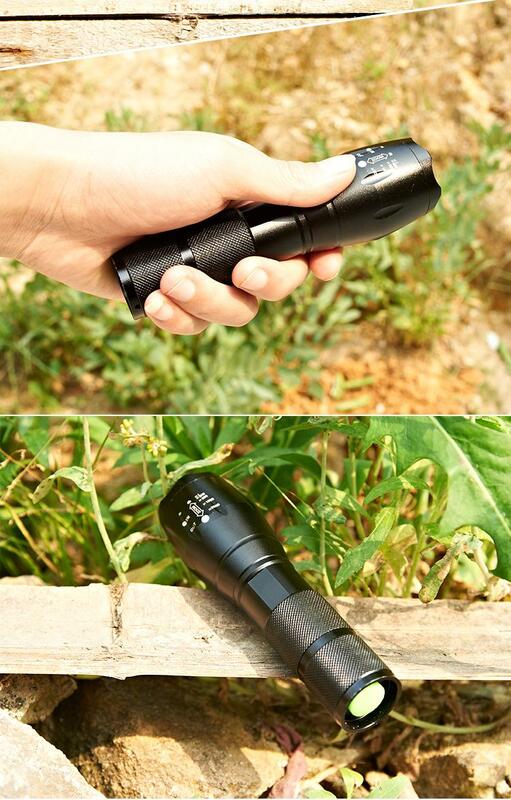 This High Quality Water-Resistant 4000LM Led flashlight/Torch with Dimmer, through adjusting the telescoping head,you can get spot beam and flood beamas you need. Ideal for cavers, forest explorers, hunter, fisher etc? -Five modeswith one button : high light, middle light, low light, strobe and SOS light for your choice. 2) When using car charger, there is no indicator light to show the battery charging status. Battery will be fully charged for 4~5 hours. The LED only light RED light, means connecting with power.